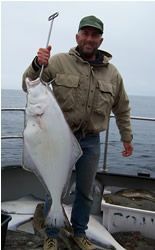 Homer is the undisputed Halibut fishing capital of the world. 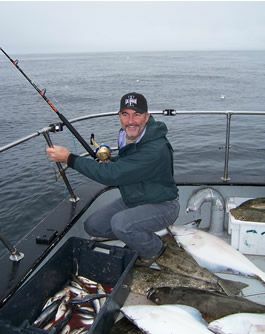 Wouldn't you like to become the "undisputed Halibut fishing champion of the world"?? 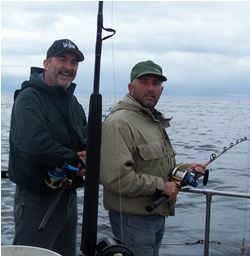 Remember to purchase your ticket for the Homer Halibut Derby to ensure your winning fish pays it's way! 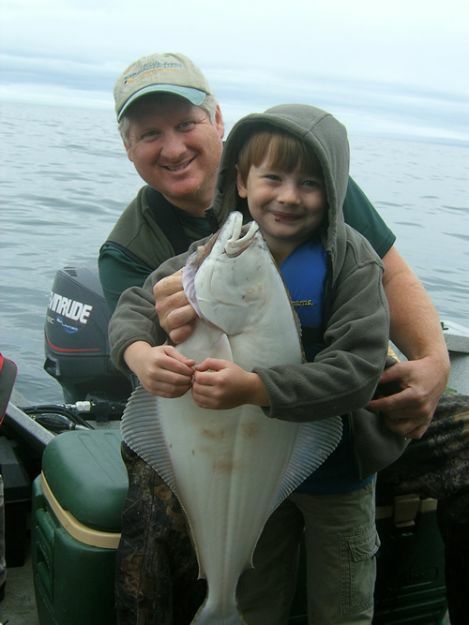 Homer is probably our favorite Halibut fishing destination. 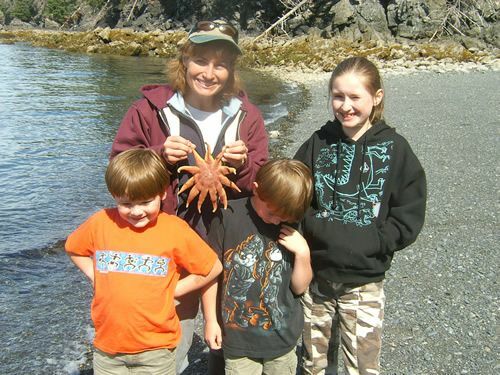 With a great mix of scenery, surrounded by glacier capped mountains, and the unique atmosphere of the "Homer Spit" where you'll depart from the Homer Small boat harbor, we're sure you'll have a great fishing experience with the bonus of touring this interesting fishing town. 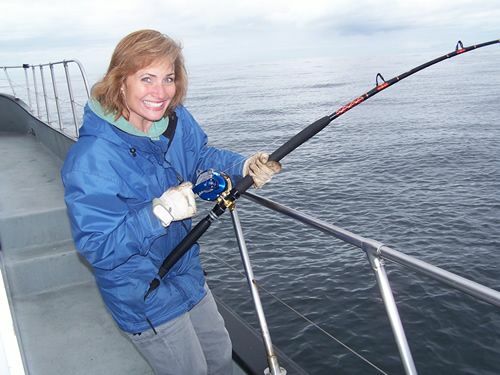 In the springtime, "feeder King Salmon" fishing can be excellent as well, with the annual "Spring King Fishing Derby" taking place in March--the first opportunity many of us have had to pull our boat out of storage since last season. 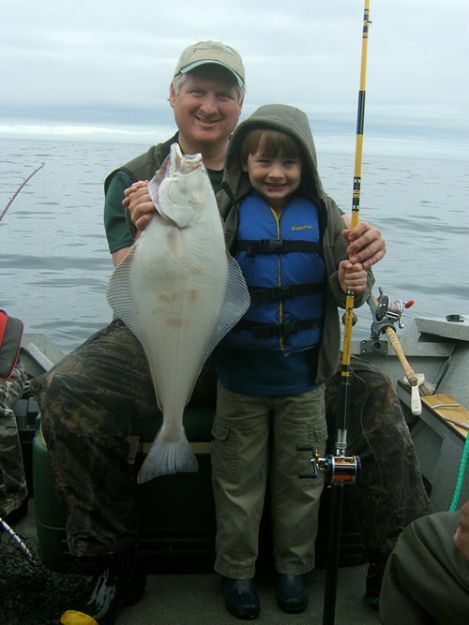 The focus most of the year is Halibut though, and they can be found nearby in the protected waters of Kachemak Bay. Homer chrter boats travel between 1~2 hours to the fishing grounds that they prefer, depending on the time in the season and the weather conditions. 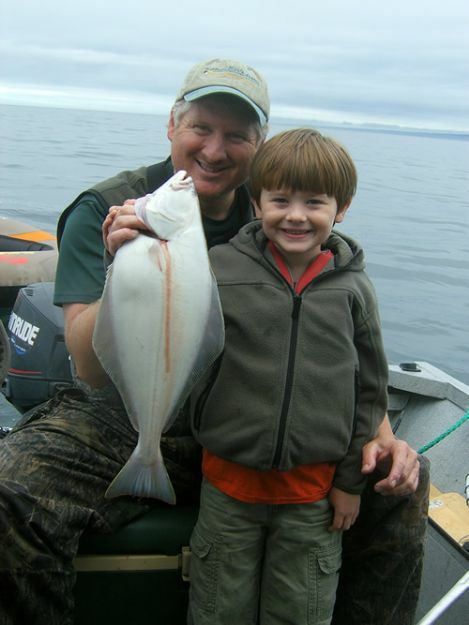 As the season progresses, and salmon spawn in the surrounding streams, the Halibut are drawn closer to the Homer Spit, and fish are caught in waters as shallow as 20~30 feet at times. Early in the season, boats tend to travel further as the weather conditions allow, in search of fish in deeper waters, up to 250~300 feet. Homer trips range from $200~$250 per person per person depending on the time in the season and length of trip. They typically depart at 6:30 am and return around 4:00 pm. 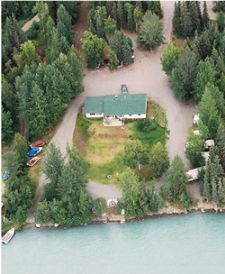 Two types of boats are found in Homer, "Six Pack Boats" carry a maximum of 6 fishermen, and generally are a smaller boat (25'~30') and have limited cabin and bathroom facilities. 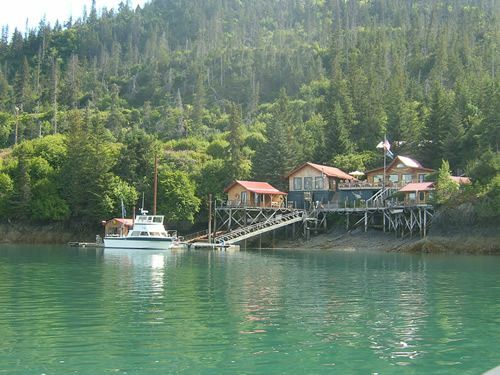 The larger "Party" boats can carry up to around 20 fishermen and have more generous cabin and bathroom facilities. 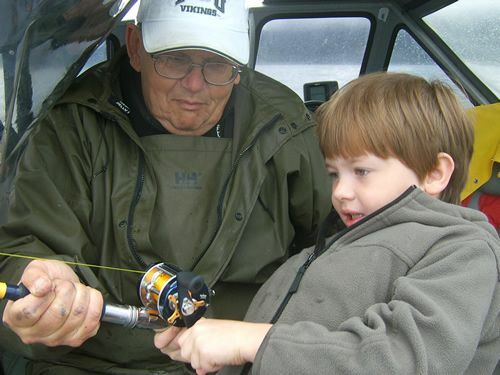 We prefer the latter for families, elderly, and children who want to have a more comfortable fishing experience. For privacy and small groups, the six pack option is a better choice.